AUSTIN, Texas -- More than a year after Texas Gov. Greg Abbott made firearms, including openly holstered weapons, legal in more places in the state, disputes remain over where guns are allowed - much to the frustration of advocates on both sides of the debate. Firearms are banned in zoos but not wildlife preserves. Republican Attorney General Ken Paxton has warned community and junior colleges to not impose blanket bans, even though children sometimes attend classes on campus. And a judge has upheld a ban on guns at the Waller County courthouse near Houston. 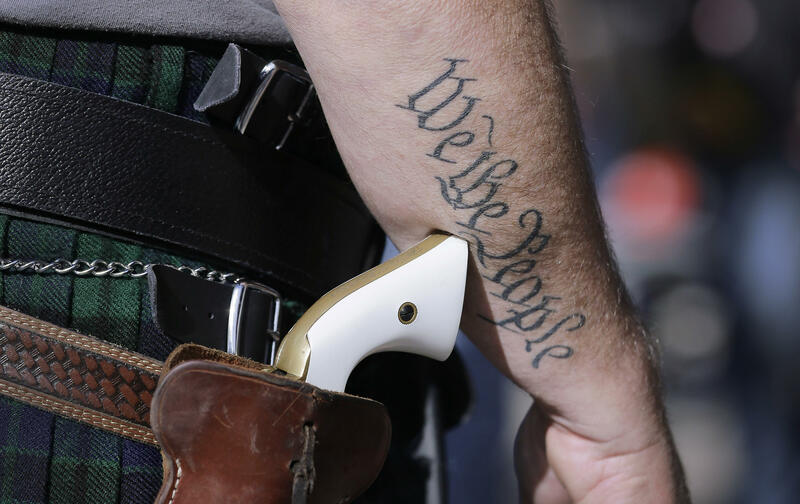 Texas surpassed 1 million licensed concealed carry holders this year, and those who were worried about the possibility of tighter federal restrictions must be breathing easier with the election victory of Donald Trump. But an unintended consequence of looser gun restrictions in the state has been lingering disputes and bouts of confusion. More than 120 complaints of unlawfully banned firearms have been filed with the state since last year, according to the attorney general’s office. Paxton has issued formal responses to 20 of them, including one in November that upheld the outlawing of guns at the Fort Worth Zoo. Waller County sued Holcomb, of Texas Carry, after he complained that the county was wrongfully prohibiting guns - a lawsuit designed to have a judge to settle the question of whether the county could keep guns out of the building. Paxton then later sued Waller County, saying a ban on firearms in its courthouse was a violation of the law. But State District Judge Albert McCaig ruled this week that the county can prohibit guns in its courthouse, which also doubles as the home to the county’s administrative offices. Another Paxton lawsuit to allow gun owners openly carry in Austin’s city hall is pending. Texas has allowed licensed concealed handguns in public since 1995. But universities had been off limits until Abbott signed a law last year allowing concealed carry on public campuses. In August, three professors at the University of Texas at Austin sued to prevent guns in their classrooms on the 50,000-student campus. They argued that the law was unconstitutional, experimental and dangerous. They lost. But for now, confusion reigns for some.